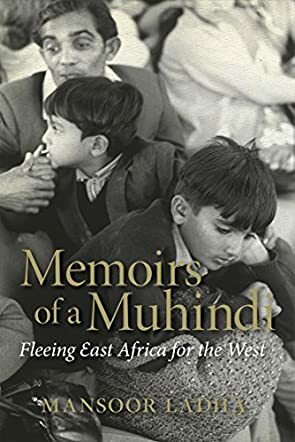 Memoirs of a Muhindi: Fleeing East Africa for the West by Mansoor Ladha is a gripping memoir that explores a historical event that caused a lot of suffering to millions of people in Uganda in East Africa, and that hastened the exodus of many ethnic groups from the region. It was in 1972 that Idi Amin, a mindless African dictator, expelled people of Indian origin from Uganda. But the reverberations of this racial action were also felt in neighboring countries like Kenya and Tanzania. It is within these racially challenging and life threatening circumstances that Mansoor Ladha, living in Nairobi at the time, decided to flee from Kenya, seeking refuge in Canada. This is a memoir that bears witness to history and that succinctly captures the pains and frustrations of many people who lived in East Africa under the leadership of Idi Amin. Writing in a very accessible and captivating style, the author captures the political setting with forensic clarity, bearing witness to what happens when a nation decides to draw a line between peoples of different ethnic origins, religions, and regions. This book also illustrates the trauma, the fears, and hopes of those who witnessed the ruthless regime of Idi Amin and the accompanying turbulence. This is an inspiring story, a journey of one man’s passage from despair to hope, and a succinct rebuke of dictatorship. It's a story about a nightmare, and the only difference is that it is real. Readers will enjoy the historical and political references in this memoir, the engaging social commentaries, and the protagonist’s determination to find freedom. Memoirs of a Muhindi: Fleeing East Africa for the West by Mansoor Ladha will transport readers to an Africa they’d never want to be part of, a story of survival and hope. A must read , great narrative. The authors best work yet, can't wait for a sequel in friction. Bravo.